A collaboration with photographer Matt Goff for The Amazons self-titled debut album, scheduled for release on 2nd June 2017. 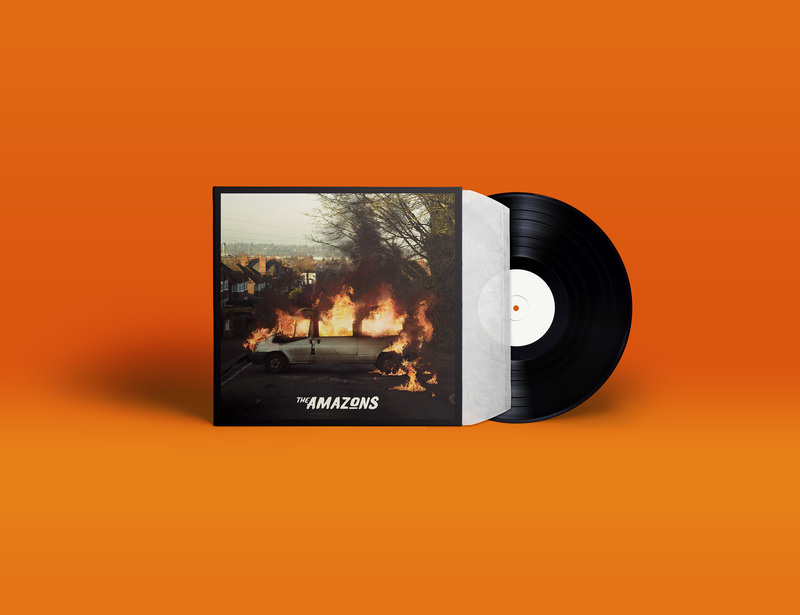 Fiction Records approached me with an image of the van on a hill overlooking Reading shot by Matt Goff, reference imagery was supplied and the brief was to set the van on fire! The fire and smoke was achieved layering up a combination of Photoshop brushes and stock images, around 450 layers in total. The van was scorched using the Photoshop burn tool. Photo filters, grain, blur and distortion were added to give the image an extra sense of realism. “The album artwork has had a great response so far on social media. Sorry to the fans if the illusion has been shattered, but no van’s were harmed in the creation of the artwork.